Ford had a global vision with consumerism as one of its centerpieces. He had an intense commitment to lowering costs through systemization and building a more process-driven company. This focus made his next move (which is not as well known) quite a shock at the time. In January 1914, Henry Ford made a radical decision. He increased Ford Motor Company employee wages from $2.34/day to $5/day (equivalent to approximately $110 today) and reduced the workday from nine hours to eight. While this was one of the most generous pay hikes of its time, Ford didn’t do this simply out of the goodness of his heart. At the time, the Detroit area was already becoming known for companies offering higher-than-average pay. In addition, the boredom of repetitious, assembly-line work led to higher employee turnover rates. One of the underlying reasons behind Ford’s move to increase wages was the desire to attract and retain top-notch employees by effectively creating golden handcuffs. Ford used his PR machine and news journalist contacts to spread the word about the generous pay. Soon, there were thousands of applicants at every Ford factory, which allowed the company to hire only the best applicants. The fortunate hires stayed with Ford much longer than they otherwise might, since they couldn’t get similar pay elsewhere. In one bold move, Ford had managed to solve most of his company’s labor problems. But higher employee retention was only one benefit of Ford’s plan. Within two short years of the pay raise, Ford’s profits increased by 200% to $60 million per year. Within five years, Ford Model T’s were rolling out at the rate of one every 24 seconds, much faster than the 12 days each had initially taken to produce. By the end of 1914, the 13,000 Ford Motor Company employees were producing 260,000 automobiles annually, while the rest of the automotive industry produced 280,000 combined. At the time, much of corporate America did not view employees as an asset. Instead, they were seen as part of a company’s expense. With this single move, Ford was able to open the eyes of the corporate world. Ford had created a workforce that became a model for the eight-hour workday and HR departments of today. More importantly, he set the pace for the eventual rise of middle-class America. Ford employees could actually afford to buy one of the cars they produced. With the $5-per-day pay hike, Ford was able to reduce employee turnover, increase the pool of high-quality applicants, reduce absenteeism drastically, and attract top-notch employees. The corresponding morale increase led to the highest productivity rates in history. So what’s the moral of this story? What can we glean from it and apply to our own companies in the 21st century? When companies shift their mindset from viewing employees as an expense item on the financials to an asset with vast potential, they can begin to see brighter possibilities for the whole company as well. Employees who truly believe they are appreciated and feel valuable to their company are much more likely to be highly productive and happy with what they are doing. Content employees are much less likely to actively seek opportunities elsewhere. Loyal, long-term employees lead to stability and customer satisfaction. 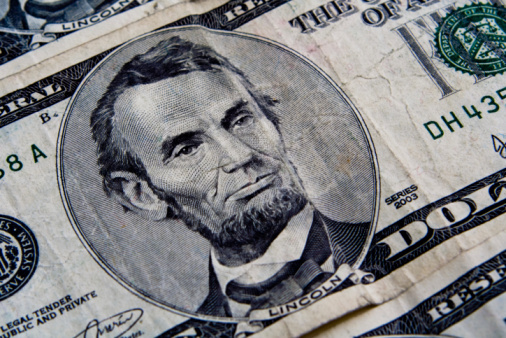 Henry Ford made a big splash with his five-dollar workday. The same kind of impact can be made today by implementing innovative ideas that show employees you appreciate what they do. Studies and surveys have shown that higher pay is not the top motivator for employees to stay with their company. Feeling valued, being content in their role, and accomplishing larger goals are more important criteria. Find effective ways to instill those feelings in your employees, and you can make your own splash. 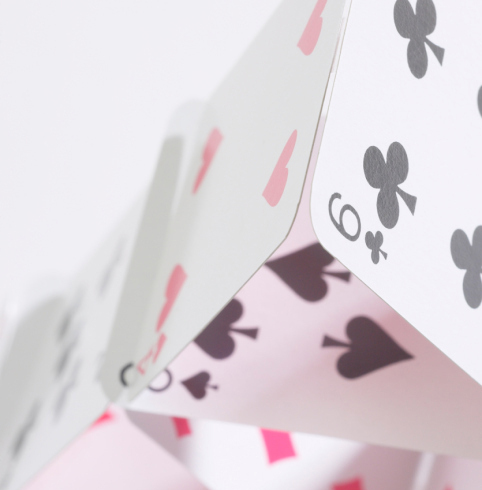 Are You Building Your Business Like a House of Cards? You start with a deck of playing cards and slowly begin to stack them together, carefully leaning one card against another at just the right angle, until you’ve created a solid wall of cards. You build the house higher and higher, one card and one row at a time, all the while moving around carefully so the whole thing doesn’t come crashing down. Building and growing a business can sometimes feel like building a house of cards. If you have one or two clients providing the bulk of your revenue, your business can begin to feel as precariously unstable as that playing card wall. Wal-mart is a giant corporation. Stories abound of how they’ve made and also broken some of their vendors. But you don’t have to be a Wal-mart vendor to find your company in this tricky situation. No matter how safe you think your relationship with a large account might be, life tends to throw you curveballs. There are no guarantees. If that one large account leaves for any reason and you face ruin, then you have built a house of cards. After the initial start-up phase is over, running a successful business becomes a matter of managing risks. Having a few clients account for the bulk of revenue can happen slowly over time, or it can come about in a flash. The role of the owner and directors is to recognize the inherent risks, then go about managing them. The obvious solution is to find more clients in order to broaden the customer base. The trick is to do this while managing larger customer expectations and not failing in product and service delivery. No one said being a company owner is an easy thing to do. In financial circles, astute financial planners recommend owning a predefined percentage mix of stock and bond funds based on your age and risk tolerance. As you add more funds, the percentages can get out of balance in one part of the portfolio. A periodic review shows which part is out of balance. The solution is to sell the overloaded part and buy more of the other in order to bring the portfolio back into balance. Owning and running a business correctly is similar to having a financial portfolio. You must understand and realize what your goals are at the beginning and review them regularly. Successful owners realize when one metric has gone out of balance and take immediate action to bring it back in line. A business built like a house of cards will have no choice but to crash back down to earth no matter how high the stack has grown. Broadening your customer base while providing excellent customer service and product delivery will ensure that no wind of change will affect your business. When you do that, you will have the added bonus of sleeping much easier at night. We all want to increase sales and grow our businesses. We also know that hiring and grooming a sales superstar is one surefire way of achieving those goals. 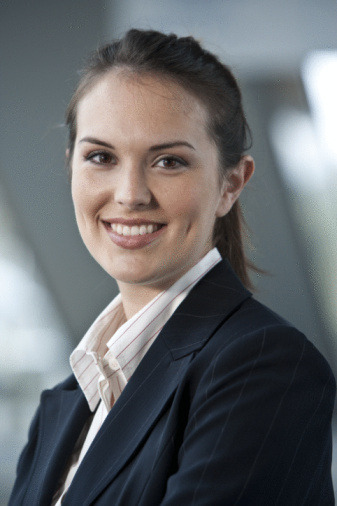 Unfortunately, finding and retaining a sales superstar is a difficult task. Until you find the secret to make that a reality, here’s an alternate path to consider for reaching your sales goals. You read that correctly. One of the best ways to increase your sales and grow your business is to author and publish your own book. Self-publishing your book allows you to present your points to your target audience in an authoritative way — just like a sales superstar would. Now, to be clear, we aren’t talking about writing a novel the size of War and Peace. Nor are we talking about writing a prize-winning book. This type of book is written specifically to bring you leads and the types of customers who are looking to buy what you sell. They say everyone has at least one book in them, but no one tells you how to go about writing it. Being an author is on many people’s dream lists, but few go about actually accomplishing the tasks needed to bring a book to life. Perhaps that’s because writing a book seems so overwhelming. “It will take many years.” “I don’t know how to write a book.” “I don’t know what to write about.” These are some of the many excuses that stand in the way of making authorship a reality. 1. Pick your topic title. 2. Make an outline of your main topic and sub-topics. 3. Choose three main subjects to write about. 4. Think about ways you or your products/services go about solving your customers’ problems. Come up with 10-20 solutions. 5. Write about and expand on one of those points one hour every day. It really can be as simple as that. Within a few weeks, you’ll have the main part of the book finished and ready for editing. Finding nice cover graphics and having it printed is not difficult. Imagine being able to hand a prospect your own beautifully printed book. Do you think that would establish credibility and open some doors? Your own self-published book is the ultimate business card — and the sales superstar you can use to grow your business in ways not otherwise possible. What’s more, this kind of sales superstar has no ego and doesn’t call in sick either. There’s at least one book in you. Start writing it today. Henry Ford, the famous Ford Motor Company founder, was known for many things. Among them was his role in promoting the assembly line as a viable means for mass-producing automobiles, a process that made cars more affordable for middle-class Americans.